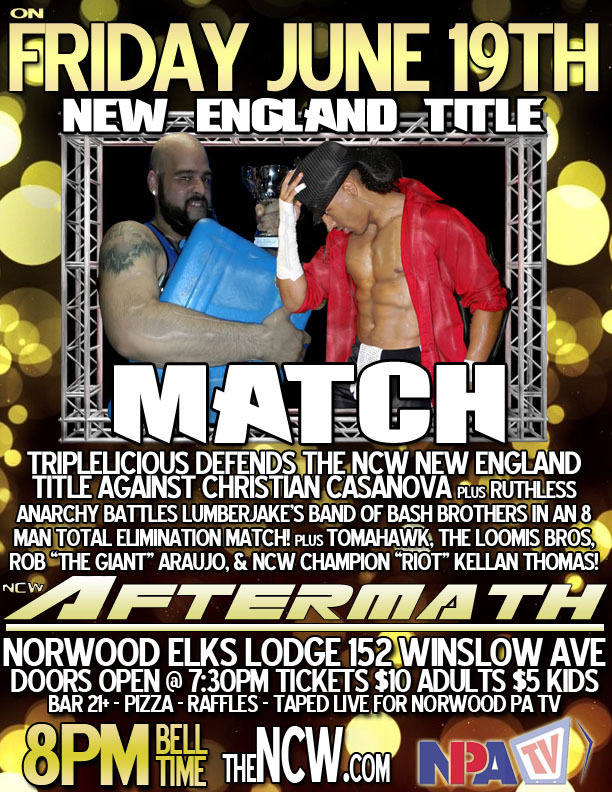 Northeast Championship Wrestling returns tonight to the Elks Lodge in Norwood, Massachusetts (152 Winslow Avenue) for NCW Aftermath, where tonight Triplelicious defends his New England Championship against 2014 Rookie of the Year Christian Casanova while The Lumberjake goes to war with “Ruthless” Ruy Batello in an 8 Man Total Elimination Match. Earlier today Lumberjake announced the first member of The Band of Bash Brothers being “The Original Showoff” Mike Paiva, Jake’s BFF who hasn’t been in action since April after “Black Magic” Sean Feeney launched a fireball into Paiva’s face, temporarily blinding him. Who will Jake’s other partners be? 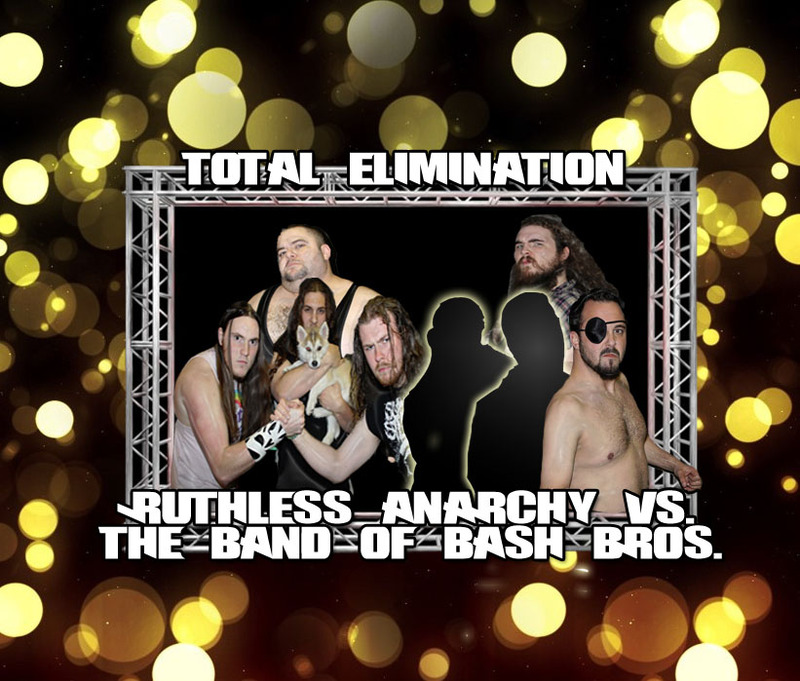 Can they overcome the ruthlessness of Ruy Batello and the Underground Anarchy? Be there tonight to find out! Doors open at 7:30 with an 8pm bell time. Tickets will be available at the door $10 for adults and $5 for all kids twelve and under. The bar will be open for those 21+ and pizza will be provided by Broadway Pizza. 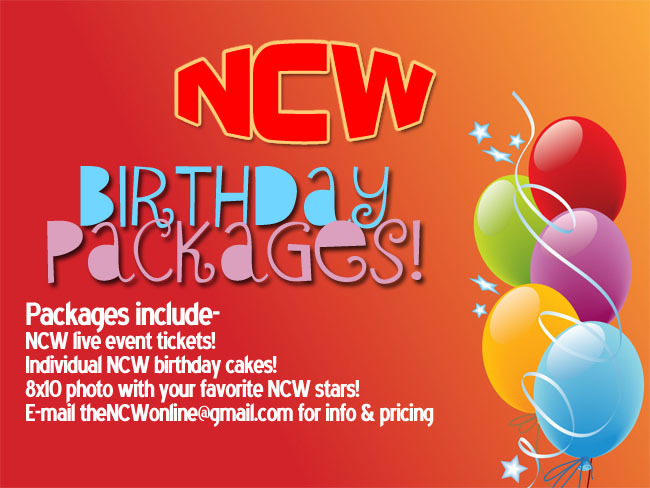 Like NCW on Facebook here! 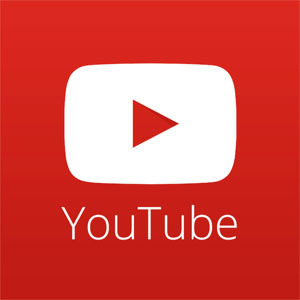 Follow @theNCWtweets on Twitter for updates! For more information please e-mail theNCWonline@gmail.com!